Vegetables, protein and starch – all goodness in one pot and everything is ready in 30 minutes. As summer is slipping away and the weather is getting cooler (it will hit below 50 degrees tonight! ), claypot food will even be a better choice. 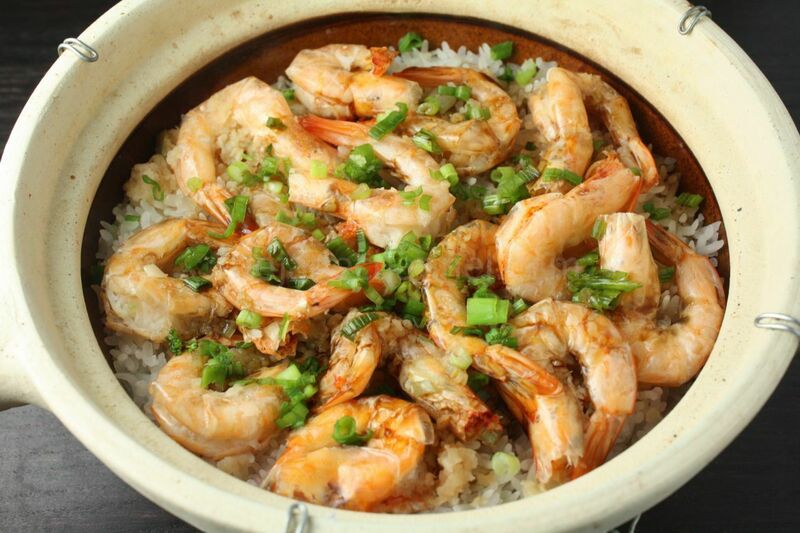 This time i used head-on shrimps as the main ingredient to enhance the flavor of the rice. The small shrimps weren’t quite enough to bring enough flavor to the rice, although the garlic, shallots, and scallions certainly helped. Next time, I will use bigger shrimps to make this dish even better. Add shrimps and cook for 5 minutes or until opaque. Add scallions and drizzle sweet soy sauce over rice to serve.